Boody Bamboo Eco Wear offers a collection of superbly comfortable everyday essentials that naturally fit who you are. Thoughtfully crafted using organically grown bamboo certified by EcoCert - with no pesticides, fertilisers or artificial irrigation used in the production process. 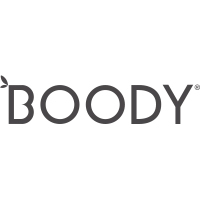 Boody’s ultra soft fabric is thermo-regulating, breathable and moisture wicking. You’ll also enjoy bamboo’s natural health qualities - it’s naturally hypoallergenic, anti-bacterial (no odour) and anti-fungal, making it ideal to enjoy everyday. All Boody products have been tested by SGS and meet Oeko-Tex Standard 100, certifying Boody as free from toxic dyes, pesticides, heavy metals and formaldehydes. Shop Irene’s favourite: Boody’s Classic Bikini in Black - a perfect fit that stays in place all day long. 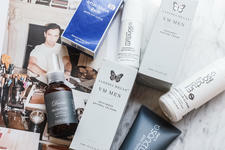 Men's Goodies for Valentines Day!